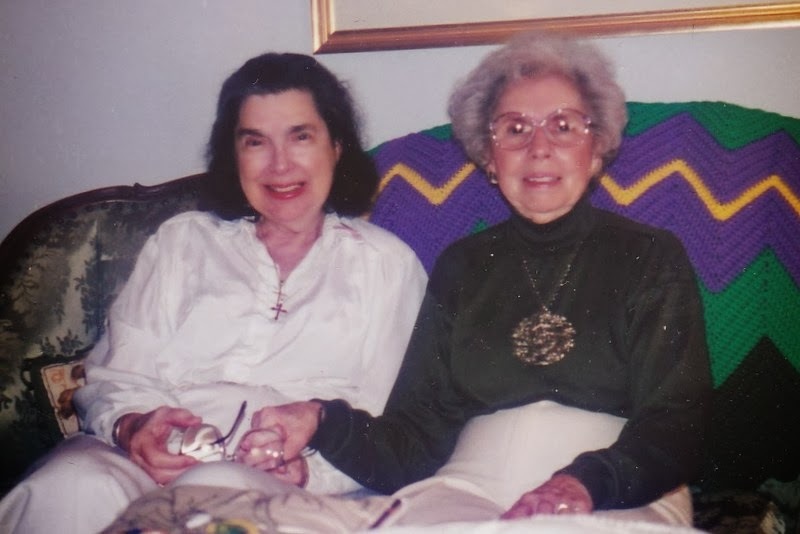 Yesterday was pretty much like yesterday... lots of searching through stacks of photo albums, lots of reading through handwritten essays and letters. Lots of little gems mined. I'm about... oh... 14 hours or so... into this project and I'm really at the stage where it's just a matter of putting together all the pieces. I added four more pages today but I have the stuff I need for plenty more. I'll get there. I even ate leftover chili for the umpteenth time today. It was really good chili, y'all. Add in fritos and cheese and it's a real feast. Such a feast that Lily, the old arthritic dog followed me downstairs twice trying to get dibs on scraps. It's a real pain because she will come down the stairs but she won't go up them so somebody has to walk her around outside. I took photos of the lake and the gorgeous trees that are turning color. I pulled them up on the computer and just hit delete. They look just like yesterdays and the day before but I swear, it looks way different out there. It looks much more like fall. If not for my pill divider thingy, I wouldn't know what day it is. Tomorrow Austin's new girlfriend is coming over for dinner. He's cooking breakfast for dinner because she's never done that before (and because his specialty is french toast). She's bringing her two month old baby with her. We told her it was fine. Actually, we told her she couldn't come back until she brings her to see us. I'll be honest with you... I don't think this girl is going to be around for a long time... we're not going to bond and stuff. But she has a baby and I'd be a jack-a$$ not to acknowledge that or make her self-conscious about it. I'd be a hypocrite, in fact. And I am many things but I try to not be a hypocrite. Sometimes young girls have babies. 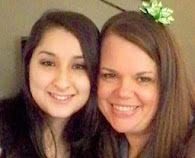 She didn't abort her and she seems to be actively caring for her and I want to support that. And discourage her from having any more any time soon. Since so much of my day today has been about scanning photos... I'll share a few more with you. Don't you love this photo? 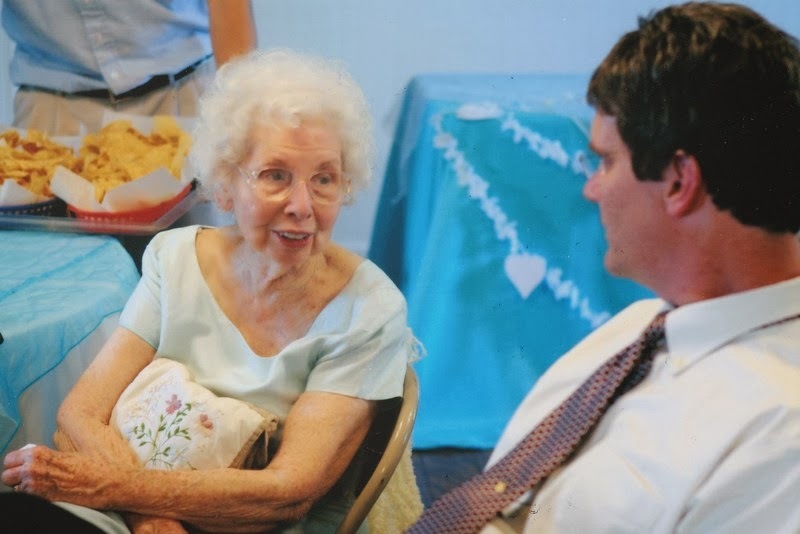 I mean, she is the stereotypical little old lady, isn't she? This is my great-great-grandmother, Sarah Donahay Shafto. 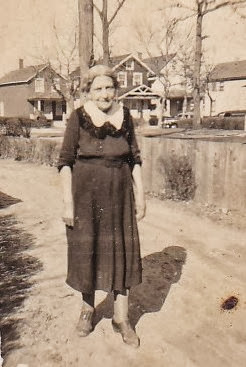 She was born in 1870 in Glendola, New Jersey and died in 1953 in Bradley Beach, New Jersey. Their address was 609 McCabe Avenue. I'm 1/4 Jersey Shore. 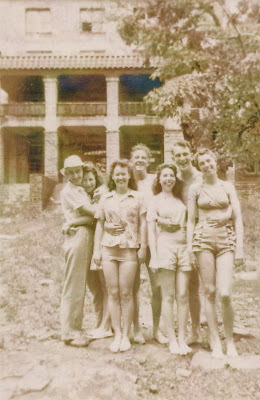 My grandma and her sisters and their beaus. My grandma is second from the right and my grandfather is right behind her. I never knew him. They divorced in 1956 and we didn't know where he was or what had happened to him until 2003. He had passed away in 2000. My grandmother in Arlington Cemetery in 1944. 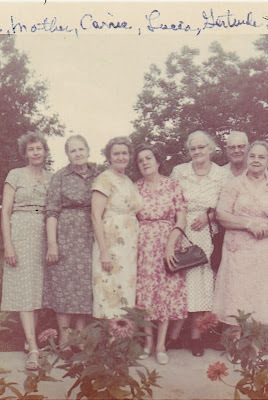 This picture was fun for me because of the fashions - it looks like they all shared the same dress pattern - and because it was a whole bunch of family members lined up. L-R is my Great-Aunt Cynthia "Sis", my Great-Grandmother, three cousins - Carrie, Lucia and Gertrude, and Great-Uncle and Aunt - Cliff and Agnes Britt. 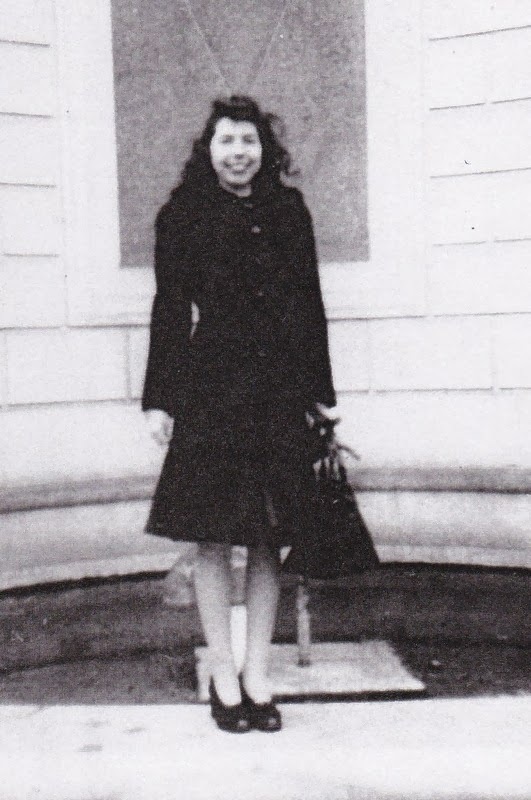 The note on the back of the picture guesses the year to be 1946. Grandma's second wedding. 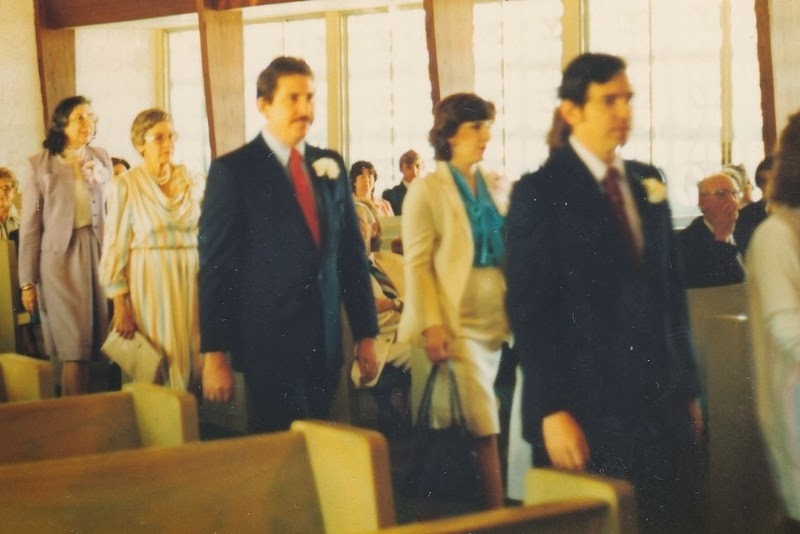 This is my dad, Aunt Claire, Uncle Bruce, Aunt Cynthia and Aunt Bette walking down the aisle. I am just in front of my dad. We all acted as attendants in the wedding. 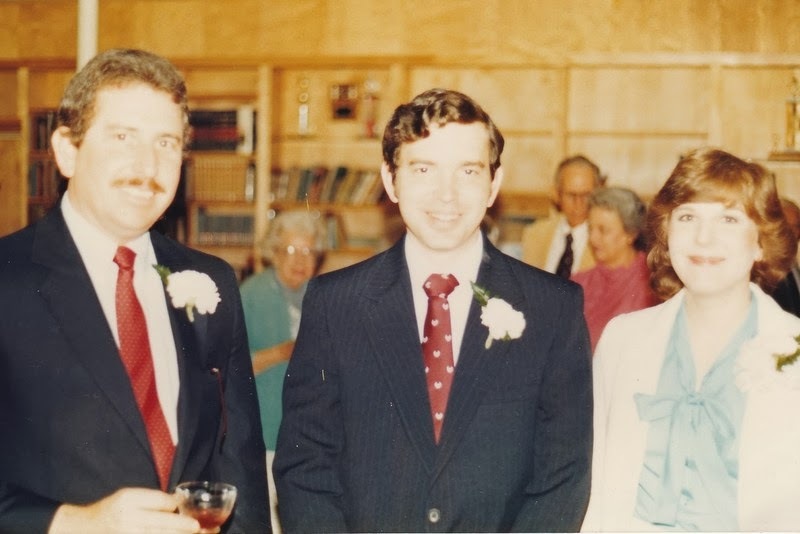 Speaking of young and thin... this was Christmas 1986. That itty bitty baby that my dad is holding is my about to be 27 year old son. I'm on the left in the white sweatshirt. I remember thinking at the time that I was SOOO fat and what I wouldn't give to be that size again! 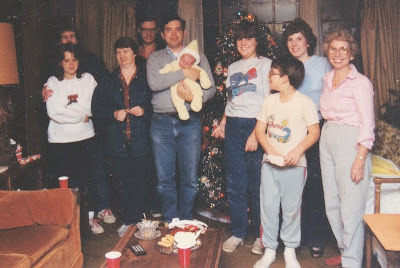 L-R - Me, the boys' dad, my mom, Uncle Gary, Pop and Ryan, Cousin Michelle, Aunt Claire and Cousin Donald and Grandma. Honestly, I have no recollection of going to Aunt Claire's that year for Christmas. I was obviously a sleep deprived mama. This one isn't all that long ago - Cody and Marquee's wedding three years ago. This is Grandma, apparently deep in conversation with my brother. 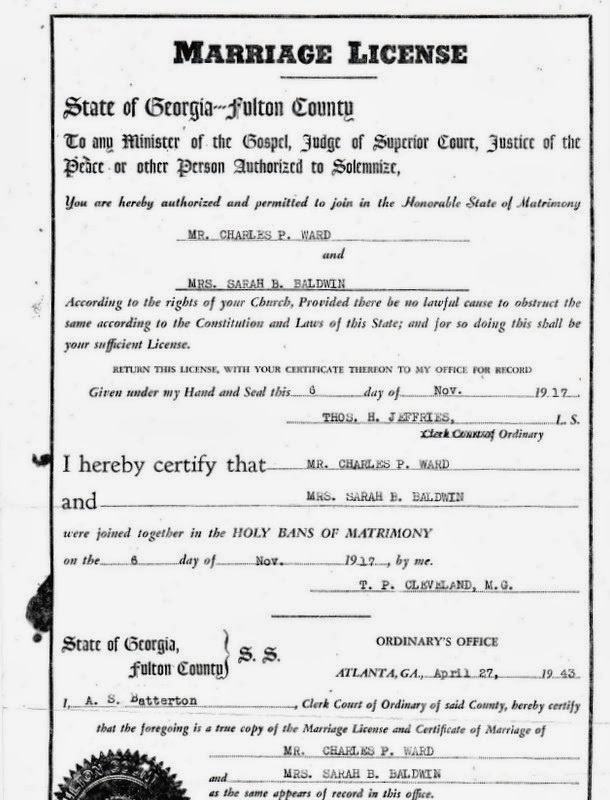 And... fun document of the day.... this is my great-grandparents' marriage license. They were married November 6, 1917. That's all for now... have a great day! Love and hugs!